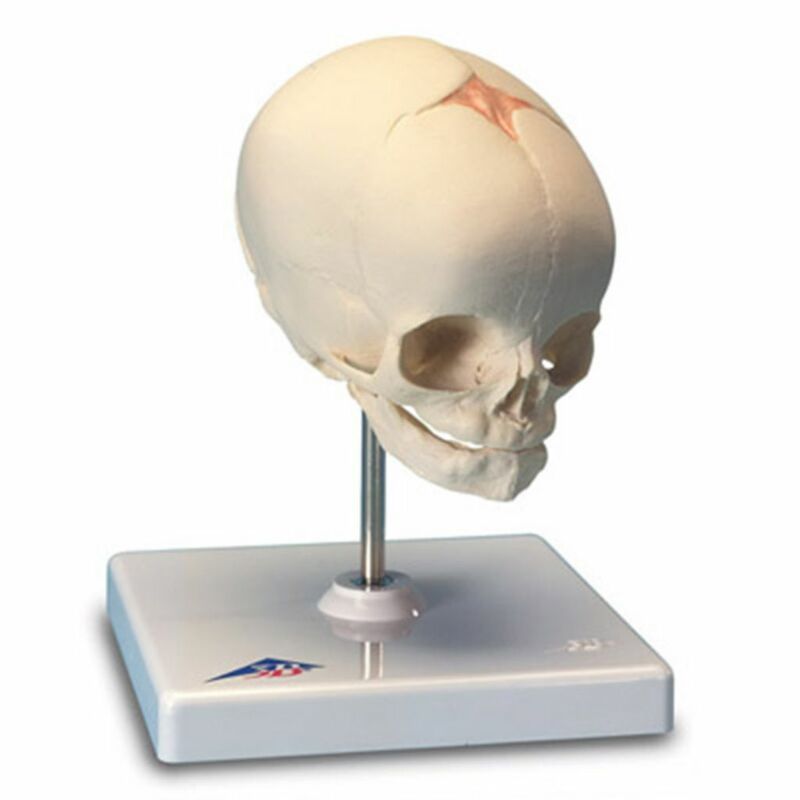 The anatomy of a human fetal skull can be studied easily with this realistic fetal skull replica. The fetal skull model is a natural cast of a fetal head in the 30th week of pregnancy showing the characteristics of prenatal development. 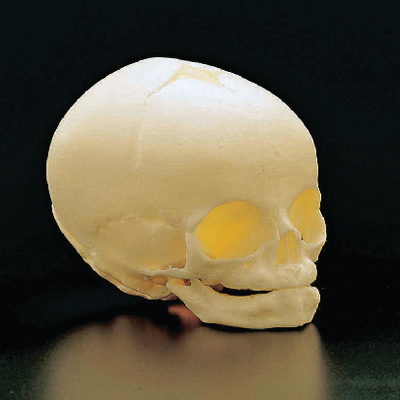 The fontanelle, which becomes bone over time, are clearly visible on the fetal skull. Sutures will form along the bony plates helping fuse the fetal skull as the child ages. Study the anatomy of a human fetal skull with this realistic replica.